Ezt a terméket eddig 67 alkalommal vásárolták meg! Complete plant food for flowering plants in soil. 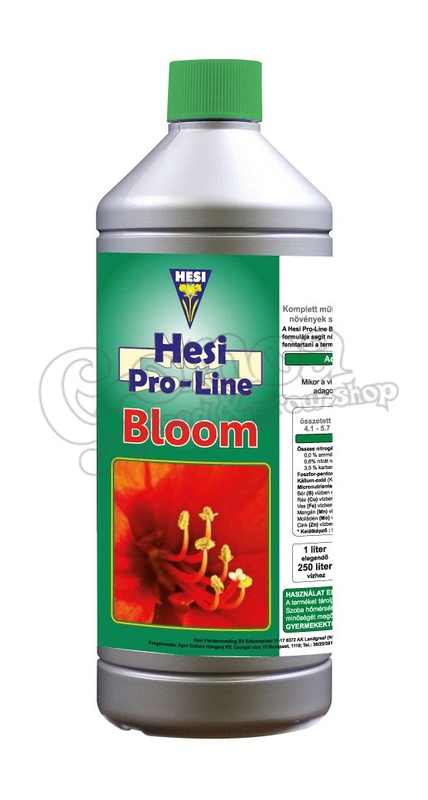 Hesi Pro-Line Bloom is enriched with plant-active vital elements that increase the plant’s energy and maintain healthy flora in the soil. When flowering is at its peak, add Hesi Pro-Line Phosphor. NPK - fertiliser solution 6.4 / 5.8 / 6.8 with micronutrients.